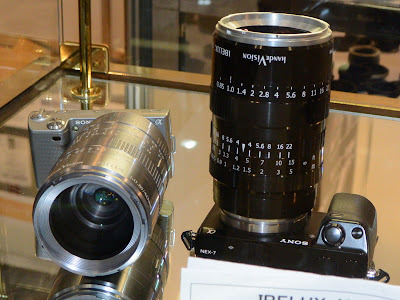 Kipon and IB/E Optics, a German company specializing in the area of industry, medicine and high quality video lenses, have introduced a 40mm f/0.85 lens at the CP+ Photo and Imaging Show in Yokohama, Japan recently. The new lens will be the fastest on the market and is available for the Canon EOS-M mirrorless camera. It will retail for between 950 to 1,200 Euros, about $1,285 to $1,620 and will be available around July, 2013.